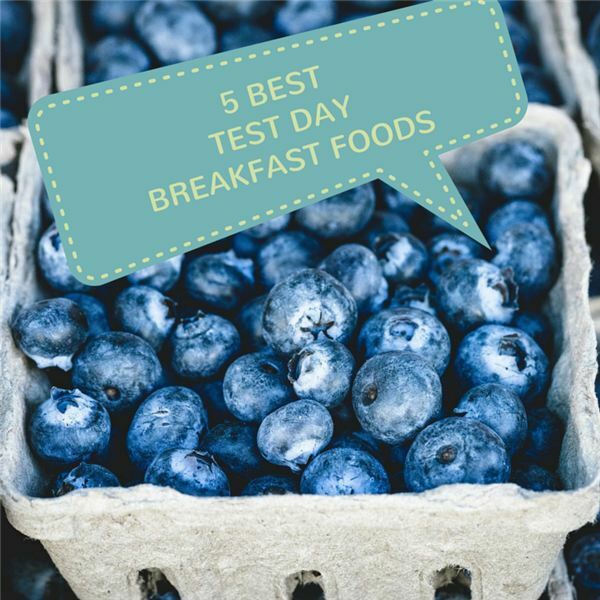 While we have always said to eat a good breakfast before and get a good night’s sleep before tests, not much information has been given on the specific foods that help improve brain function and overall test performance. We have done some research on the latest trends regarding what foods are considered best and we will discuss these in this article. Keep in mind that this list is by no means extensive or exclusive, but is a great starting point when getting kids in the best shape and ready for the tests. Peanut Butter with Toast – Peanut butter is considered one of the best brain foods. It is packed with protein, essential vitamins and other agents that are believed to increase brain function. Spreading some peanut butter over toast the day of the test just might make a difference in their performance. Blueberries – There has been a lot of research on blueberries in recent years. Many studies on dementia have resulted in the recommendation that dementia and Alzheimer’s patients eat blueberries on a regular basis in order to increase overall focus and brain function. This has also been transferred to brain function of normal kids and adults as well. Fruits – Eating fruit in general will help kids focus and feel better when they take the test. Try an experiment to see if you agree. Try eating pancakes with heavy syrup and butter and sausage. Sure, it tastes great, but think about how you feel afterwards: full and a bit lethargic. Then, try eating a breakfast of only fresh fruits such as fresh pineapple wedges, strawberries and kiwi. You will feel more energized by eating mainly fruit. Mix it with grains and non-sugary cereal for an added burst of energy. Nuts & Grains – Some of the most basic healthy foods you can eat are nuts and grains. They provide natural fats and oils that your body and brain need for basic functions and may also increase your level of alertness and focus. Offer these to kids with their breakfast the day of the test. Water – This seems simple but few of us drink enough water. Water is one of the most important elements of brain function. The brain is composed of a large percentage of water. It requires fluidity to work correctly. Some schools believe in this so strongly that they allow water bottles to be in every student desk during class. Other terrific brain foods include asparagus, fish and milk. Focusing on those foods has shown to have positive effects on the brain and increase focus. Good nutrition is sure to be an added boost that just might help kids make the grade when it comes to getting the best score they can on the test. The small amount time it takes to give kids some brain food before the tests just might prove to be the factor that helps them achieve at a higher level and keeps them alert and feeling good during the test.